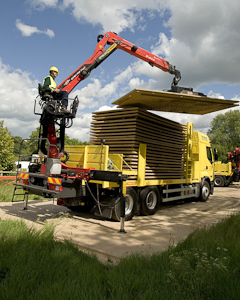 The lessons we have learned over the last few years have enabled the design and development of the purpose built Dura-Base trucks, allowing Terrafirma to work safer and faster. 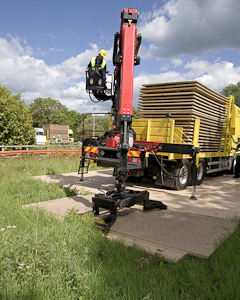 Incorporating the Epsilon 130Z crane, Terrafirma’s unique Multi Grab system ensures the safe and controlled transfer of Dura-Base mats. 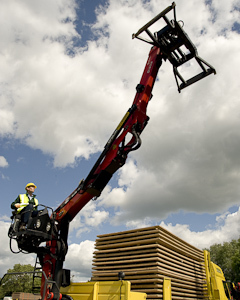 The crane is operated from an elevated position, giving full 360° vision of the site. 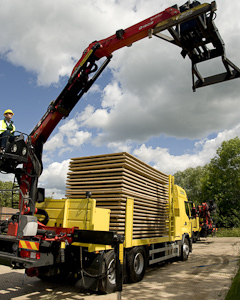 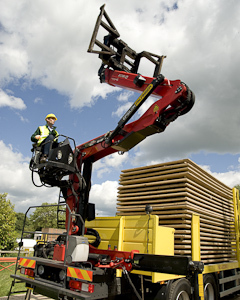 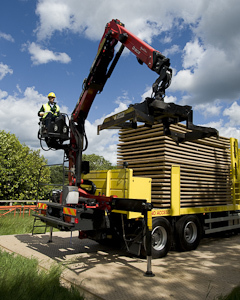 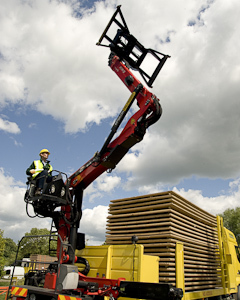 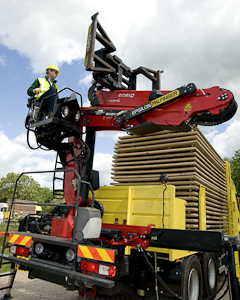 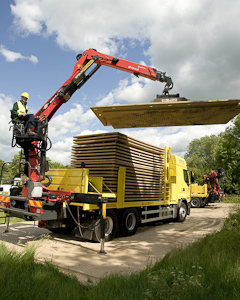 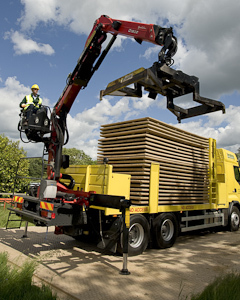 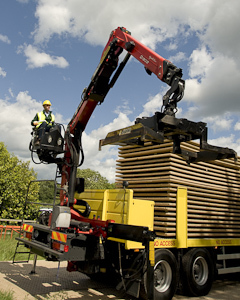 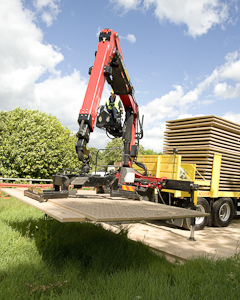 The crane has the Easy Fold system, which allows the safe unfolding and folding of the crane into its transport position with the grab attached, saving time and increasing safety. 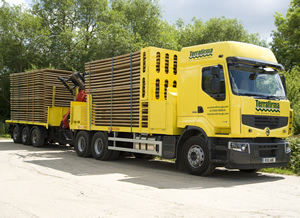 As part of Terrafirma Roadways’ commitment to the environment, the company’s fleet uses the latest clean engine technology. 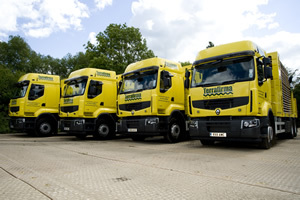 An Optimax computerised fuel monitoring system helps reduce fuel consumption and its impact on the environment. 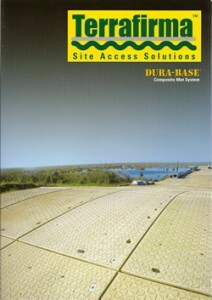 For more information about Dura-Base ground protection mats and how they can help you access your sites safely, phone 01235 868835 now. 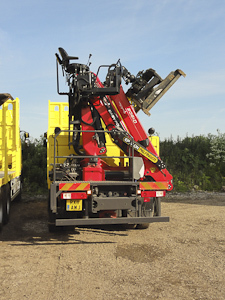 Alternatively, you can send your enquiry by email, if you prefer.